Reader A(2), C(3), T(1), P(2), D(3), W(1), M(4), G(2), and J(3) ........ Why is it that the rest of the world cannot bring America under control. I can only give an opinion on this question based upon my knowledge, experience, and official documents gained by working with the ITC. One has to look back in history to establish a large part of the answer on this question. The first point which I believe to be the main issue here is that America has never had any financial responsibility. They have always gone from one financial disaster, and bankruptcy, to another, and another, and another. Another part is the constant, but non-existent, American Freedom and Liberty, which is all a myth on the basis that "Yes, you can have your freedom and Liberty, say the Government, but leave us alone to do what we want to do"
They appear to think they can steal what they need, or, borrow from other countries without paying such loans back. It is a pretty pathetic way of anyone country or person conducting themselves but that has been the policy of America for well over 100 years and one which seriously encroaches the 100 - 200 year period. When it issues Treasury Bonds and other countries, or parties, purchase these in good faith, the purchasing countries, or parties, expect reimbursement plus interest on a set date. Unfortunately that does not happen because America does not have the funds to pay against these Treasury Bonds, so it just issues more and more paper to pay off the original Bonds, which is just a continuation, or "Roll Over" of debt over a few more years. In addition, an alternative is that America just prints more US Dollars which debases the value of the US Dollar, if the purchasing countries, or other parties, refuse to accept a "Roll Over" of Debt by the issuance of more paper to cover the capital and interest of the original issuance. Another method is that they threaten the countries holding these Treasury Bonds to buy goods from America, or to use the Treasury Bonds as investment into America. If the purchasing countries or other parties will not accept either newly printed US Dollars, or the "Roll Over" of debt then America can always use the "Sanctions Factor" which is a factor we have all seen during the last few years, which is not illegal in itself but Immoral. Sanctions need the full authorisation of the UN to be effective internationally. Without the UN authorisation such sanctions become the policies of America only, which may or may not be supported by American Allies. America does not hold or have an International Legal Charter to control or dictate to the world, so the responses "Why is it that the rest of the world cannot bring America under control" are quite warranted, but as we all know America are never brought before the ICC or ICJ for their illegal actions / activities. Fortunately the world is waking up to these American antics and devious methods of business, and are now beginning to fight back, probably a little too late, but at least they have started to fight back. As for stealing. They do not call it stealing, they call it "War Booty". This happened with the 10,000 MT taken from Kuwait by Iraq. Then America (Contrary to International Law) invaded Iraq for the second time, found Saddam Hussein and found the 10,000 MT of Gold. They immediately claimed and labelled it as "War Booty". Unfortunately for America, many people were watching and they didn't get away with it on that occasion, whereby it was eventually returned to the Kuwaiti Central Bank who were actually the Custodians of that 10,000 MT of Gold on behalf of The Global Debt Facility (refer the Global Settlements Treaty 1980). Every time America puts "Boots on the Ground" one can be absolutely sure that anything precious in that country, such as Gold, Precious Gems, Oil, National Artifacts, will end up in American hands one way or another. This, of course, is totally illegal under International Law especially when it concerns assets of The Global Debt Facility because our assets are not the legal property of the invaded, or invading country. Under the 1948 and 1968 Hague Treaty and The Schweitzer Convention (Innsbruck)1968 such assets cannot be confiscated, requisitioned, stolen, seized, sanctioned, and they are totally immune from any disabilities, restrictive measures such as censureship, reprisals, prohibition or restriction of export, or any other similar interferences, restrictions or prohibitions. Despite those laws, it doesn't stop America from acting illegally or trying to force matters with other countries, which they inevitably do most of the time. America executed all those official Legal documents / treaties that I refer to above but that doesn't make any difference to them as they immediately discard same in their own interests, as we have seen time and time again over the years, but more so over recent years. America doesn't care what damage it does to the rest of the world, it's a "I'm alright Jack so screw you" attitude. As for why the other countries of the world cannot bring America under control, the answer is quite simple. America is the prime corrupter around the world. It corrupts Governments and politicians of other countries with "Payments in Kind", usually from the stolen accounts of The Global Debt Facility, or it threatens Heads of State and Politicians with assassination if they fail to "Do as they are told". Many countries live in total fear of America, especially the weaker countries of this planet and can do very little except comply to American requirements. The stronger countries are mainly aligned to America but they crouch in fear if they break ranks at any time, the Death Bell will toll quite loud. Bringing America under control will never be easy. It is fraught with danger and would certainly result in American antics that we have all seen in the past, such as the assassination of President Kennedy, The unceremonious removal of Present Soekarno, President Marcos, Saddam Hussein, Qaddafi, various other Heads of State around the world, "Boots on the Ground" or "Air Strikes" such as those within the old Yugoslavia, the various colour revolutions of the world removing their Heads of State, Governments, etc. America and its Politicians are the biggest headache the world has and it will take a totally united front to bring them in line, which is almost an impossibility. All the theft, fraud, deviousness, lies, deceit effectively gained momentum in the time of Ronald Reagan, the proxy of G.H.W. Bush and continues to this day. In fact it actually started in a small way prior to, and during WW II with General MacArthur and General Lansdale watching the Japanese secrete away the wealth of the world, as commissioned under the 1920 / 1929 London Treaty, which was actually executed by America, being just one of the Signatories of the Allied Nations, plus the Committee of Royal Families from across the Globe. We should all be aware that Politicians and Governments tell lies and are completely misleading in anything they say and do, but to most it is more convenient to believe the narrative stated than continually question that narrative and possibly get labelled as an Activist, an Agitator, a Threat to National Security, even a Terrorist. Let's remember, when Politicians get elected they are welcomed into the little "Happy Clappy Club" of Politicians and Bureaucrats, following which they largely tend to forget the people or the wants of the people. Take my advice if you wish. Treat most Politicians and Governments as the liars that they are, lacking of intelligence, mostly bigoted power hungry, selfish individuals that they are, as they all speak with "Forked Tongue" and ultimately have no intention of doing things for the people. Once in power the colours of the Political Parties become become one multi-colour ensign of unity for the Politicians. Arguments and disputes are occasionally visible to the public like a puppet show. It is very easy for them to make war, and, in reality, it is just as easy for them to make peace, but peace doesn't make money for them and their Allies, war does and it doesn't matter to them as to how many die in any wars they create. What matters is their power, their pockets, their status, and their continuance of policies which were never stated publicly, for acceptance, in any manifesto or any election speeches they make. If George Bush Jnr, Clinton, Obama had stated, prior to being elected; we are going into a second war with Iraq, then Libya, followed by Syria and then Afghanistan, I very much doubt the people would have voted for them in the first place and they would not have been elected at all, saving the world from a lot of misery, suffering, dis-belief, more poverty or serious humanitarian issues, and so on. People do not want War. They want Peace. They want happiness and contentment, not sorrow, grief, and funerals of their loved ones. They want stability, not Boom and Bust. They want the truth not a continuous stream of lies and deception by people who were elected by the people to manage and administer their country on behalf of the people. They want people who are honest and professionally capable of managing and administering the Country, for the people, without the need for hundreds of so-called questionable Specialist Advisers, Consultants, and experts. Reader J(4), S(1), M(3), F(1), W(2), B(3), G(2) & T(4) .......... The $US 50m USD of Gold removed by the Americans from Syria. Is that part of The Collateral Accounts. I can't really answer that question at this time because I do not have sufficient information to be precise or accurate on this issue. However, we do have two people in Syria who are investigating this matter and I will report further on this when I have more information. In the meantime, and as I have stated in my response above to the various Readers, America and its Allies will do as they please, when and wherever they like, irrespective of reality. Allow me to give a quick appraisal of this issue. If one looks at the photo of the Soldiers strapping boxes together within a warehouse. The first point here is that no one packs Gold in Cardboard Boxes. The size of those boxes appear to be approximately 12 inches x 12 inches with an unknown length, clearly indicating at least 4 layers of 6.25 Kg or 12.5 Kg bars. Depending on the length of the boxes, say 15 inches, one could expect a minimum of 4 - 6 bars of Gold, giving a total weight factor 100 Kgs - 200 Kgs per box. Those sort of weights dear Readers would rip the cardboard apart. If one looks at the bottom box on the left hand side of the pallet you will notice the box is buckling with the strapping, as manually tightened; which is not a good sign either, and clearly indicating spaces between the contents of the boxes and the inner edges of the actual boxes. That being the case, the boxes on the top of the bottom boxes would be buckling every box under it. There is an indication that the boxes if 12 inches x 12 inches x 12 inches there would be 48 boxes on the pallet (based upon size of pallets). with One box weighting a minimum of 100 Kgs, the total weight on one pallet would be 4800 Kgs or 4.8 Metric Tonne, so there would need to be 11 pallet loads to be lifted. Gold is always packed in wooden or metal boxes because of the very issues mentioned above. I have attempted to enlarge and refocus the ends of the boxes on that pallet so I can read the printing on those boxes. Unfortunately I was not successful, so I have sent the picture to our IT specialist to see if he can achieve more clarity of the picture. Therefore it has to be asked if that photo is really part of the story of the 50 MT of Gold, a highly questionable issue and possibly false information. A). As the remaining pockets of ISIS fighters faced imminent defeat in northeast Syria, the United States allegedly gave them an offer they couldn't refuse: give us your massive caches of gold - or die. According to reports by Syrian state news agency SANA, U.S. forces struck a deal with ISIS whereby the terrorist group would give up 50 tons of gold across eastern Syria's Deir el-Zour province in exchange for safe passage. The above doesn't surprise me at all and as I have stated above, this is one method the Americans would apply to get their dirty little fingers on someone else's Gold. B) . The precious metal, worth about $2.13 billion, was plundered by the self-designated "caliphate" as its reign of terror spread across Syria and Iraq between 2015 and 2017. That being the case, the Gold actually belongs to someone in Syria, albeit the Government, Gold Dealers, or The Global Debt Facility. On top of that, as the Americans are in Syria illegally (Contrary to International Law) they are actually complicit in the theft (an illegal act) of Gold Assets from Syria. C) . The Syrian state media outlet claimed that ISIS leaders were on-hand to guide the U.S. helicopters to the places where the gold was stashed, "closing a deal by which Washington spared hundreds of the terror organization's field leaders and experts." So, despite the UN, America and its Allies all officially branding ISIS as a Terrorist Organisation, this Gold actually spared hundreds of the Terror Organisations Field Leaders and Experts. Despicable, deplorable, and in my opinion criminal whereby again, America is complicit in protecting international criminals who should be in prison. The claims by the Syrian government outlet coincide with reports by U.K.-based war monitor, the Syrian Observatory of Human Rights (SOHR), which alleged that the U.S. and its Kurdish allies had been sparing ISIS fighters in hopes of acquiring the group's war spoils. "The U.S.-led coalition forces and the Syrian Democratic Forces (SDF) deliberately do not target the areas under the control of the ISIL terrorists and commanders in Eastern Euphrates in Deir el-Zour as they are trying to locate this treasure by forcing the ISIL militants to speak about its location after surrendering." During the destruction of ISIS-controlled Raqqa in Syria by the U.S.-led coalition, a secret deal was struck with the group that granted members safe passage as it evacuated the area. The deal, uncovered by the BBC, ensured the survival and freedom of many top ISIS leaders and a number of foreign fighters. This just shows how "Two Faced" (Speaks with Forked Tongue) the Americans are, and as stated above, they do what they want, where they want, and when they want, and screw everyone else, all with impunity. Is it no wonder that the people of the world are really "Pissed Off" with America, who never get pulled before the International Courts to answer for their various and continuous crimes. They do not appear to have changed that policy from when they were dealing with the American Indians (Indigenous groups). We have seen similar situations in the Philippines and Indonesia whereby Americans, or mercenaries working for America threaten the Guardians of various depositories with, "Surrender your Depository or we will kill you and your family". those who do not comply and their families do get Murdered and then it is recorded / written in the Press that "Joint Military forces (American and Filipino / Indonesian) have killed a specific number of Terrorists". Terrorism is an adequate label to get other people all fired up with hate and animosity. I personally wouldn't bother with the international courts because even those are controlled by America and its Allies. I would save the costs involved and "Hang'em All" from every lamp-post, bridge, or overhang" I could find and rid this planet of one member of the world's "Axis of Evil" in the quickest possible and effective manner. That is however my personal opinion, which may or may not be supported by many others around the world. As for the Gold in question, we will establish true and legal ownership in due course, no matter what it takes to uncover the truth. A DNA test on the Gold in question will reveal the origins of the Gold, which should then match with all Official documents. If it doesn't, it is 100% stolen Gold from The Global Debt Facility depositories. If President Trump is anything of a man that he claims to be he will ensure that the Senior Military Personnel behind all of this are immediately and dishonourably discharged, without pensions or other fringe benefits, and imprison some, if not all, of them for their crimes. NOTE: if any Public Servant, such as Military or Police suspect what they are ordered to do is illegal they can legitimately refuse to undertake the order without any consequences to them whatsoever. Otherwise they are equally complicit in the crimes of their superiors and should be equally tried in a Court of Law, and imprisoned if found guilty. On that latter point I have just realised that if the above was the actual situation, America probably would not have any Military at all as they would all be in prison or "Hung" for their crimes. I therefore thank you for your responses whereby I must clearly state that the subject of Brexit did show far more Readers with an real interest in the subject matter. As we can all see from the activities in the UK Parliament last week, the Brexit saga rolls on and on with the Government attempting to "Kick the Can a bit further down the Road". I will add here an article located on the Web by one of our people who sent it to me. It is an article with more in depth factors regarding Brexit and the effects of the Governments activities which to me shows that the Parliamentarians, or some of them, have no idea of the legalities of of their anti-Brexit policies, which are quite serious in nature and should not be ignored by anyone at all. The EU has been insensitive bordering on contemptuous in seeking to impose what amounts to unconstitutional conditions upon us. This cannot be and the result has been made clear by the wholesale rejection of the base proposal. Whilst widespread rejection by many Lords and MPs has occurred, many are perhaps ignorant of the vital constitutional issues at stake. They are critically important and exposed in this document and must be fully understood by all and taken into account. 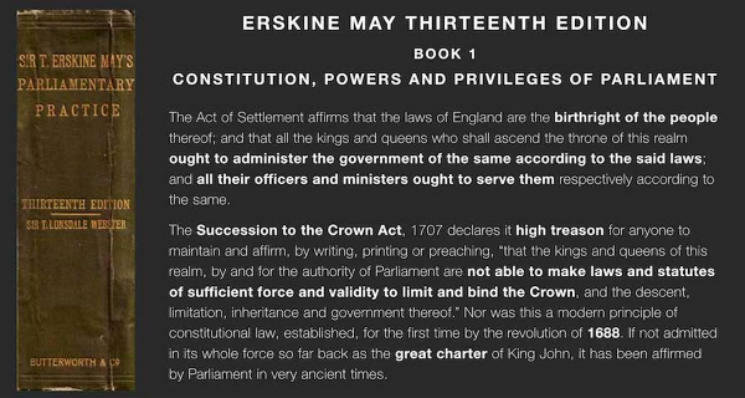 The Rules of our laws which lay down the conditions for the Crown's constitutional limitation and thus its duty in governance and in Parliament may not be broken and are in fact bound to be fulfilled. The Crown can do no wrong because it is compelled to do right. Breach of sovereignty can only occur by error. It may not normally be sanctioned under the terms of our laws, yet it has occurred. We all acknowledge this. Constitutionally it is the imperative and paramount duty of the government to repair, recover and correct any and all breaches of sovereignty at the earliest moment. This is compulsory according to our law. The treaties that have enabled this unconstitutional intrusion can only have been agreed in error. They are in conflict with our constitution so far as any breach of Sovereignty is created or enabled. Effectively the Crown has been deceived in its grant. There comes a point in our constitutional arrangements where the Crown is compelled to act by the common law, the statute law and the custom in order to defend and maintain the constitution. If a situation arises where the failure of government to re-establish and secure sovereignty continues, the people may require the Crown by right of petition to deliver correction forthwith. The Crown may not suspend and dispense with the law save when authorised by Parliament. Well, the Bill of Rights and related enactments as per the Coronation Oath and the Accession Declaration Oath impart the consent and duty to void contrary measure. "...... and so shall be esteemed, allowed, adjudged, deemed and taken to be; and that all and every the particulars aforesaid shall be firmly and strictly holden and observed as they are expressed in the said declaration, and all officers and ministers whatsoever shall serve their Majesties and their successors according to the same...."
It is to be upheld as widely as possible because it secures the fundamental liberties of the people. The aforementioned quote's use of language is superb, leaving no room for doubt as to the true intention. Can all 'all officers and ministers whatsoever' say that they have observed this duty? Can the Privy councillors say that they have observed the intent of their Oath of Office? Look at these obligations sworn to be undertaken. "...You will to your uttermost bear Faith and Allegiance to the Queen's Majesty; and will assist and defend all civil and temporal Jurisdictions, Pre-eminences, and Authorities, granted to Her Majesty and annexed to the Crown by Acts of Parliament, or otherwise, against all Foreign Princes, Persons, Prelates, States, or Potentates. And generally in all things you will do as a faithful and true Servant ought to do to Her Majesty SO HELP YOU GOD"
The golden rule of the law is to 'understand the words in the ordinary meaning thereof'! There are obvious conflicts with our governance concerning the breaches of sovereignty and the oaths. These are clear and legal limits to the democratic power in governance which the Crown is bound by law and oath to uphold. The Houses of Parliament may not act in defiance of the rule of law and in defiance to the limitations of the Crown. The people have 'ancient and indubitable rights'. The obligations arising from the rules of law that are undertaken by the Monarch in support of the constitution are likewise the undoubted duty of all those in governance to uphold. This is emphatically stated in our law and is current. At this moment it is the legal duty specified to be observed. "That they will stand to maintain and defend their said Majesties and Alsop the Limitation and Succession of the Crown herein specified and contained to the utmost of their Powers with their Lives and Estates against all Persons whatsoever that shall attempt any thing to the contrary." Has the Privy Council lived up to this? What if there is continued breach because of a no deal without exit? The doctrine no 'Parliament may bind its successors' holds no water in any of what is said here; it does not and cannot apply. All in office owe allegiance and must obey the law; there are no caveats to this. 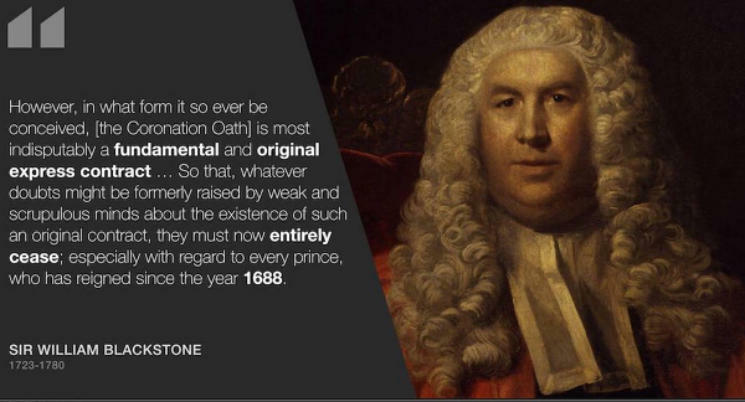 To change these arrangements would require renunciation of the Rule of Law and to the Monarchical Oaths and thus ascertain the necessity of abdication. Such might only happen by clearest consent of the people, most probably after multiple elections of Parliament and certainly a dissolution. There is currently no question of abdication or of the people wanting to destroy the Kingdom or their birthright and the Rule of Law; quite the contrary is evidently the case. These obligations are current and are statute law and more. This is the duty for the two Houses of Parliament to observe and support in their day-to-day business. They owe allegiance to the Crown which secures the rule of law to the people with the Coronation Oath and the Accession Declaration Oath. That is the Crown's duty for returning allegiance to the people through observance of law. By what right may politics be placed above the law by Crown servants? The Coronation Oath is the contract that requires the Crown to 'govern' - that is a continuous, reign long, solemn undertaking - and to 'cause law and justice in mercy to be used in all judgements'. This is the relationship between the Crown and its Subjects. It is non-negotiable. It is the Custom and the Common Law, it is entrenched by oaths and by Statutes. It must remain unmitigated, perfect and complete. The Bill of Rights 1689 is one of those enactments which must be upheld and maintained to its 'true intent'. Her Majesty may not be placed in breach of these conditions. There are other such important and fundamental enactments and documents, which include the Act of Union 1707, the Act of Settlement 1700 and the Scottish Claim of Right in line with our Declaration of Right. They are all valid constitutional law and obligation which neither the government or Parliament may breach or set aside. Erskine May has formerly confirmed this and quotes from those enactments (P3. 13th ed. Ch. 1. 1924) to prove the point. And underlying it all stands the great Magna Carta 1215 and the famous 1297 confirmation. We have gone adrift in our governance and this must be rectified. The administrative model has given Parliament an anaesthetic and allowed the Rule of Law to be undermined by overzealous administration, exactly as Lord Hewart of Bury, Lord Chancellor, warned in his book The New Despotism. There is no power legitimately granted to the Crown in Parliament to continue this failure. One area that has not been talked about is the effective creation of a standing army by the EU. For the United Kingdom, this may not be. Standing armies are denied the Crown. King Charles I lost his head because he used French soldiers to complement his army and assert his will, and this was duly declared treasonous. A standing Army was outlawed by our constitutional settlement of 1688. It is the reason that the Army Act was renewed annually, albeit now modified in recent times to the life of Parliaments. The renewal is required because it is a condition of the Bill of Rights. It is a constitutional and entrenched constraint limiting the Crown and sworn by the Crown to be maintained. This renewal requirement is a proof of the binding duty imposed by the Bill of Rights on the Crown in Parliament. All the aforementioned principles leave those supporting the Remain campaign in effect campaigning for a continuance of the breach of sovereignty and moving towards a treasonous position. Well, given that this is a very public issue, overt and not covert, it is just about tolerable; but - make no mistake - the constitution would be destroyed by acceptance or furtherance of the breach. Ultimately it might force an abdication if somehow it was asserted in the face of the current constitution. The government and Parliament are not and cannot be in the business of revolutions. For this to happen lawfully new constitutional arrangements would need to be made. The abdication route, with dissolution etc., and the pre-agreement and acceptance of the largest majority of the people would be paramount. Without full public understanding, acknowledgement and engagement, how could a new Monarch be sworn in? The EU model imagines the realm divided in rule between the the island of Great Britain and Northern Ireland, and a standing army coming into being. No new Monarchy could sit upon the throne knowing the Oaths were to be abused and of no force or effect: it becomes a constitutional absurdity. This cannot just be swept aside by Parliamentary vote contrary to the law. When this true price of our liberty is explained and promulgated to the public, there would seem to be zero possibility of its succeeding. That is most likely why it has not been talked about in political circles or confronted, but set aside. Well, the cat is partly out of the bag and the public will not be forgiving. As Lord Hewart of Bury quipped, 'in the end there will not be enough lamp posts to go around'. But the public will praise and thank those who create remedy. This can be turned around and that must be the political way forward. There should be no talk of extended deadlines, for this will simply encourage the EU not to concede anything, and that is not a constitutionally acceptable position or legal. The public realise this is about governance and know that we need redress. The papers are full of letters to this effect. The Constitutional requirements for the full re-establishment of our sovereignty and full control of our armed forces must be made clear to the EU negotiators. 'This is where we are heading' must be the declaration, and it is not politically optional now that the constitutional errors of our position have been exposed. Continuation with EU proposals would be to commit malfeasance and perhaps treason. Continuation with those proposals or their abandonment still necessitates constitutional remedy in the absence of any agreement. Defiance would in principle need the Monarch to abdicate so that new constitutional arrangements might be made. 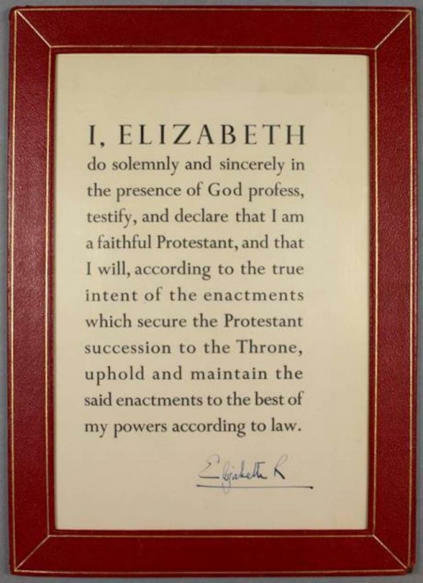 Her Majesty may not be deliberately placed in breach of Her oaths. Nothing could be more politically suicidal; needless to say, it will not be happening, because it is precluded by the principles of the rule of law and written into parts of our constitution. Her oaths must be fulfilled. This should be promulgated throughout the public. It will immediately bring many of varying opinions to unity and loyalty to the Nation. It will give very serious food for thought about the lack of constitutionality for those who have sought to remain in the European Union. This establishes that the Treaties that brought us this far were too wide in scope and accepted by us in good faith but now have been exposed to be in constitutional conflict. Treaties made in conflict against the fundamental laws of a state give us powers of remedy from the EU under the Vienna Convention on the Law of Treaties of 1969. They are listed in Part V of the Treaty. The EU is attempting to bind us into a position which is in conflict with our known constitutional law, and thus an error which we could not have foreseen would be instigated, because we could not have legitimately joined in the first instance had we known that there would be such intransigence by them about leaving by negotiation. Such an agreement is disbarred by the Vienna Convention on the Law of Treaties. This would almost certainly fall within Part V of the Convention, declaring the conditions for the invalidity of treaties. Thus, by our showing that the fundamental laws of our constitution prohibit any breach of sovereignty, the EU's never-ending backstop is not a position which they may maintain and expect us to agree to under the terms of international law. Northern Ireland may not be separated. The Treaty of Lisbon was set up with the explicit intention of having a leave mechanism for any member state wishing to renounce the treaty, which is now being made inoperable for us by the EU's unprincipled intransigence on insisting on a condition which is not constitutionally compliant for us. Therefore we should leave and keep our money and announce our imminent departure set for the 29th of March. Faced with such a fait accompli, they may seek last minute compromise. Else nothing is lost and our negotiating hand stands to be significantly strengthened. Anything short of this is likely to be politically disastrous. This seems to offer hope of some redemption from the political mess that Brexit has dissolved into. Although Brexit ought to be accomplished whatever the outcome, special care must be taken to remedy all of the prior incursions of our constitution and to ensure that no Standing army is created. To disobey the law, most particularly the Bill of Rights, "An Act to secure the Rights and Liberties of the Subject"
Parliament has no lawful power to destroy its own omnipotence. That is the law and a written part of our constitution. There can be no power in Parliament to continue any Breach of Sovereignty. It is the Crown's sworn duty to defend and recover it and thus the duty of all in any Governance whatsoever to repair the breach at the earliest time. I think that is enough for this article as it is already 16 pages long, the latter part not easy to read being partly legalese, but it is understandable. What it means is that there have been a Sovereign Constitutional breach of the law which must be remedied to protect the UK from the International wanderings and adventurism of the EU. 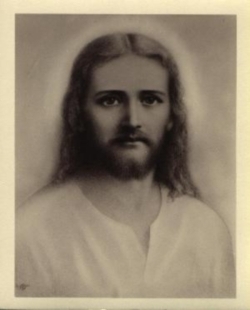 Happy reading and lots of understanding from what is written above. © and Copy Holder plus ® to David P. Crayford in conjunction with Abundanthope.net.